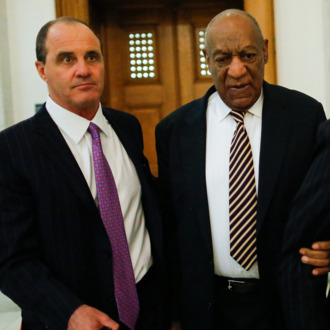 Cosby already went through three other lawyers ahead of the first trial: Marty Singer and Christopher Tayback (both of whom Cosby fired), and Monique Pressley (who quit). According to reports, McMonagle was displeased with Cosby’s spokesperson making statements to the press during the trial — which ended with a deadlocked jury in June, after 52 hours of deliberation — without consulting Cosby’s counsel first. Cosby’s other attorney, Angela Agrusa, will remain on the case for the retrial, which is scheduled to begin November 6.